The headline is inspired by a topic text in the Norwegian bicycle forum I read a few years ago. Is your life worth €30? Yes, of course, it is. Most people would put a much higher value on their life than that. Still, it does not always look like that when being out in the traffic in the dark fall and winter weather. Being out riding in the early or late hours with dark clothes without any reflective material and/or lights makes it really hard to see you. I do not believe that any car driver truly wants to kill cyclists (despite the occasional rough rhetoric in the imaginary war with cyclists and drivers). If they don’t see you, however, it is also hard to avoid driving you down. When choosing lights you have to determine, are you going to see, or are you going to be seen? If you are going to see it requires powerful lighting, more expensive equipment and is only necessary if you are out riding early/late in places without lighting. If you are going to be seen it is inexpensive and can possibly save your life. Personally, I found the most practical solution for meeting my own minimum requirements is mounting a highly visible light in the front and back of my helmet, as I use a few different bikes. Then it is always with me and convenient to recharge as I always bring my helmet with me back in. Having a reflective vest/jacket, gloves, shoe cover etc. is also wise, but it should be an addition to your own light source. When it comes to choice of light I would, as always, recommend going for a good quality product. A good, inexpensive, easy to mount and lightweight light is Silva Simi. The drawback is that they are not super bright and they are not rechargeable. 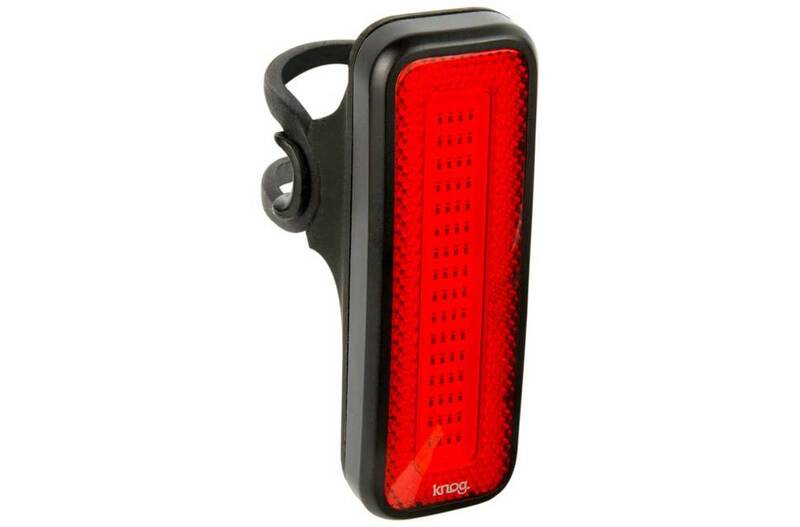 Brighter is better and in that regard, I truly love Knog Blinder Mob. 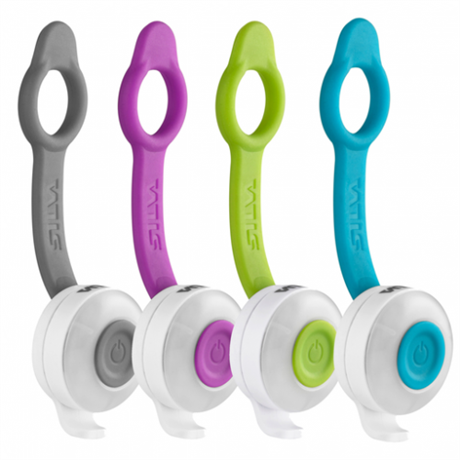 They are fairly light, rechargeable, and makes it impossible not to be seen. The downside is their higher expense and that they are uncomfortably bright for the person cycling behind you. There are obviously tons of good lights out there, and if you have particular recommendations do not hesitate to share it in the comments field. Personally, I found the Voyaline XLite100 interesting, but have not tried it out. Check out the video of this smart tail light. Another visibility hack is reflective tape. It costs a few dollars from ebay/aliexpress and can be put on your bike, helmet, kids etc. I bought the ones in this link. Forrige Previous post: Norseman 2019 – should you sign up?